This site is created for posting all genre of Mizo lyrics, the song lyrics are divided into four categories/genres - Gospel (Fakna hla), Love song (Lengzem), Non-Gospel & Non-Love song (Lenglawng) & Christmas (Krismas). This site is maintained with bi-lingual i.e Mizo tawng and English. Our main intention for creating this blog is to provide free lyrics for the lovers of Mizo songs. We humbly felt that this is a small contribution that we can do altogether as a brothers to our fellow Mizo community. We accepted that there can be errors in this site and we apologize if there's any errors and mistakes in our contents. Suggestions and complaints are mostly welcome for the improvement of this site and we request you all to feel free in keep in touch with us. 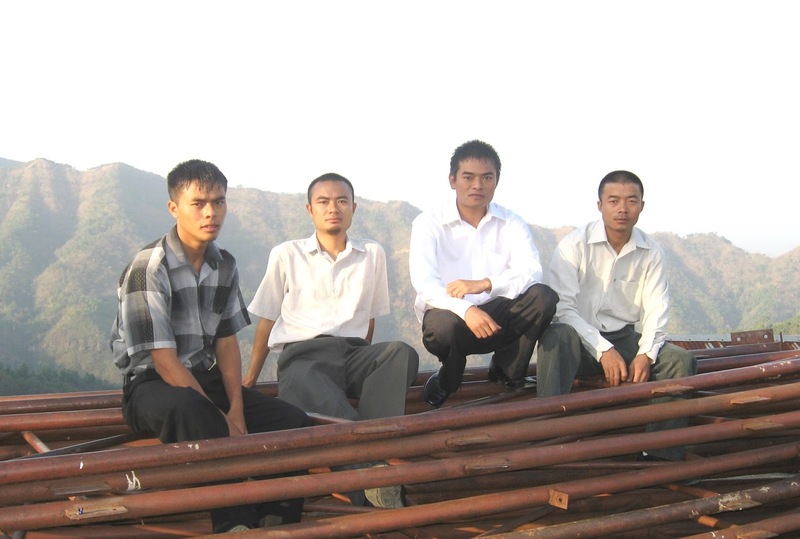 The Four Brothers who provides your free lyrics are namely: Thlenga (L), Athlana, Azara and Amuana, Kawnveng, Sialsuk, Mizoram, India. Mizo hla thu mamawh chang in internet lam a han zawn hian zawn hmuh mai tur awmloh chang a awm fo thin. Chung mamawhtu te tana a lo tangkai ve theih nan leh awlsam zawk a Mizo hlathu te an lo hmuh theih nan he blog hi siam a ni. Mizo fate hla thu mamawhna kawng a intanpuina atan chauh a he blog hi siam anih avangin a buaipuitu te lam pawhin hlawkna engmah kan hmu bik chuang lo a, chuvangin kan hlaphuahtu te pawh in an hlaphuah leh sak te midang te tan a, a thlawn a kan lo tarlan ve avangin hian an phalna kan lak hmasakloh chungchang ah pawh min hriatthiam ve ngei kan beisei a ni. Kan hlaphuahtu te hi an zahawmna leh an hlutna te tihbawrhban erawh kan phallo a, an hlaphuah heta kan tarlan te hi an duhdan kan bawhchhia anih chuan engtik lai pawhin thupha kan chawiin a tul an tih chuan kan dahsa ho pawh hi dahbo(remove) leh pawh kan in huam reng a ni. Hla tam tak hi a phuahtu kan hriat theih mai loh te a awm avangin a phuahtu hming tarlan theih loh kan nei nual a, kan tarlan loh hlaphuahtu zahawm tak tak te chungah pawh thupha kan chawi nghal e.
He blog a hla thu awm ho te hi Mizo in a hla kalphung kan thendarh dan a Lenglawng, Lengzem, Pathian Fakna hla (Gospel) leh Krismas hlaah te then darh a ni. Heta awmsa bak a Mizo hla thu mamawh bik nei te tan leh hlathu rawn thawh duh te tan mizohlathu[at]gmail[dot]com ah e-mail in ngenna (request) a siam theih reng bawk e.
I hun hlu taka seng a i rawn len luh avang pawh in lawmthu ka(n) hrilh a che a, comment te pawh i duh anih phawt chuan kan phal reng a nia. I lo leng lut leh fo dawnnia. Mizo hla thu a thlawn a i lo hmuh theih na tur a rawn chhawp chhuak tu te hi unau mipa pali: Thlenga (L), Athlana, Azara leh Amuana, Sialsuk, Kawnveng a mi te kan ni e.